So in that light, the weekend before last, we decided to take in the Maryland Science Center. I remember the Maryland Science Center from when I was younger and my grandmother used to take me there… plus I remember going to see films on the IMAX on rare occasions. My wife, as a teenager, spent a summer working there as an explainer. So both of us were familiar with how the science center was, but since we’ve been there, there’ve been a lot of changes. Time affects all things, and since my wife and I were last there, there’s been a major expansion and new exhibits moved in. The science center is exactly what you would imagine from hearing the name – it’s a science museum that’s on the shore of the Inner Harbor in Baltimore. There are exhibits covering topics from dinosaurs to physics, from weather to electricity, plus a planetarium and IMAX theater. 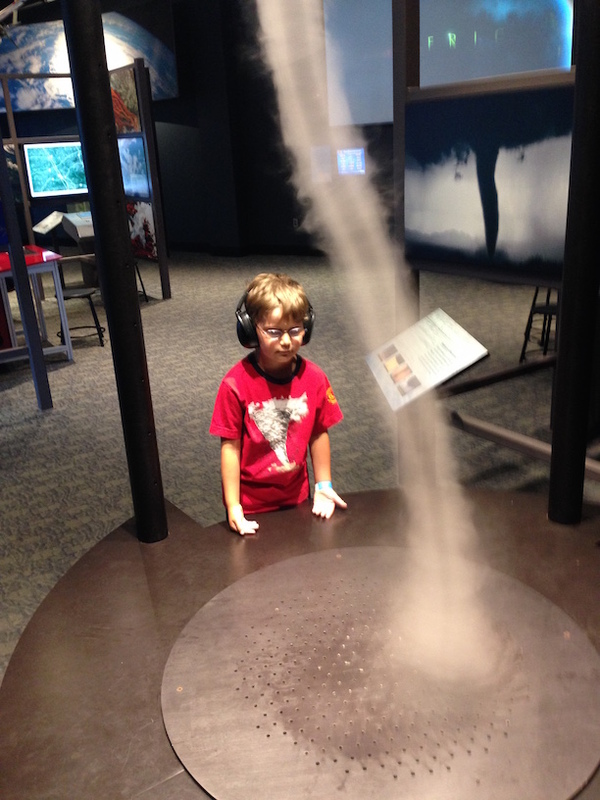 Like a lot of science museums these days, the majority of the exhibits combine educational material with hands-on activities and more dynamic displays – the whirlwhind above being a good example. There’s a lot to see at this museum, and for those with younger children, it might be a little bit daunting, and I’d pick and choose what you’re going to see, and take breaks. For a museum, the tickets are reasonably affordable, and there are plenty of opportunities for discounted admission if you can avail yourself of them. It’s a very inviting location that’s easily reachable by mass transit – use the Charm City Circulator once you’re downtown, because it’s free – but also has some parking available in the area if you’d rather drive yourself. It became quickly apparent that the kids really wanted to be more active… and that’s where the Kids’ Room came in useful. 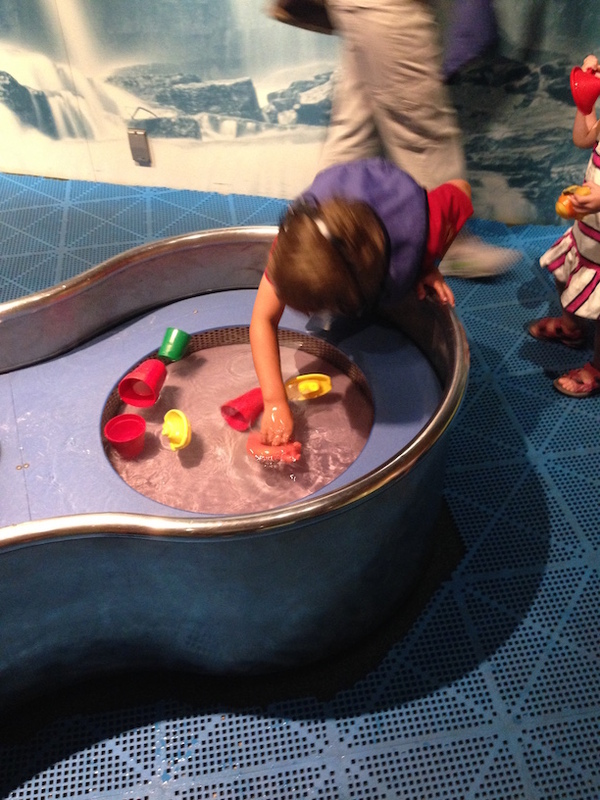 Located on the third floor of the science center, the kids’ room is an environment where the younger set can run around to their hearts’ content, exploring various things, from an undersea lab to a boat, to a pneumatic tube (seriously! they have a working pneumatic tube like at the bank! ), with a separate area for toddlers and another area for them to do research (or so it looked to us). Off to one side, there is a reasonable-sized water-table with different heights and activities for children of different ages, so it’s a good idea to consider a change of clothes in your bag if you have children who are going to be… active.